The story has elements of two Ian Fleming short stories and a novel, interwoven with aspects from Japanese Rōnin tales. 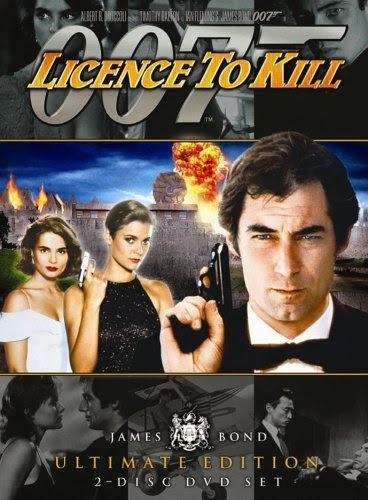 The film sees Bond being suspended from MI6 as he pursues drugs lord Franz Sanchez, who has attacked his CIA friend Felix Leiter and murdered Felix's wife during their honeymoon. Originally titled Licence Revoked in line with the plot, the name was changed during post-production. Robert Davi as Franz Sanchez, the most powerful drug lord in Latin America, mentioned as having been wanted by the DEA for years.